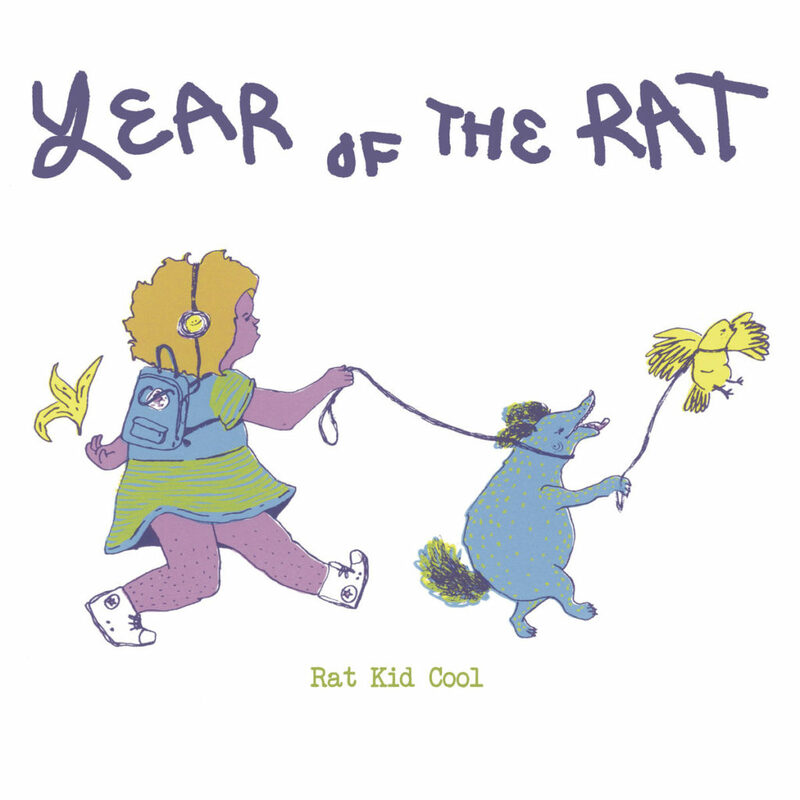 Rat Kid Cool originally dropped their debut album Year of the Rat on Jan. 1 with little ado, a cheeky wink to the animal that corresponds with this year’s Chinese Zodiac calendar. It was an unintentionally prophetic title, though, as the album was swiftly picked up and re-issued last month through Take This To Heart Records. It’s rare that an artist is able to quickly and concisely establish their musical sandbox, but Rat Kid Cool’s Ciaran O’Donnell feels right at home in the space he’s created for himself. Sonically, these tones are immediately warm and familiar. While the title Year Of The Rat may make O’Donnell sound entitled, the lyrical content of the songs prove he’s anything but. The album is a journey of self-exploration during a low period in life; one that reads like a nostalgic journal. The opener, “No Fucks,” is a muted anthem. The verses express the desperation that comes with knowing you’re heading towards the next step in life, but not knowing what that is. The chorus talks a big game about forgetting one’s troubles, proclaiming, “I gave ‘em away / now I give no fucks.” At first this seems freeing, but the line that follows furthers his despair: “now I’m real fucked up.” This highlights the cognitive dissonance between knowing you need to chill out and allow yourself to de-stress, but at the same time having that make you feel even more hopeless. This and other problems highlighted throughout the album feel uniquely millennial, and that’s part of the charm. Sonically, Year of the Rat is pretty leveled out. Though there’s progression within the tracks, the music doesn’t feel like it’s building to a particular point. This may sound like a downside, but it actually has somewhat of a calming effect on the listener. It’s easier to be mindful and in the moment when you’re not worrying about what’s going to happen next. While generally minimalist, this allows for subtle layering or interesting instrumentation to be both noticed and appreciated. Repetition also plays a role in giving the listener a sense of security. Rather than becoming annoyingly predictable, the simple choruses become familiar and easily lend them self to sing-alongs. The songs guide listeners through the mundane events of everyday life that’re interspersed with excitement, like finding a brand new jacket in a dumpster (“Patagonia”) or a forgotten night of debauchery on (“Sitting on the Curb”). In the end, though, O’Donnell is in the same spot he started at. In “Back to Bed” he sings, “I feel so stuck in this moment / And I’m starting to doubt / If it’ll ever get better or worse / Either way I just need out,” while also professing that he just wants to go home and fall asleep. While it seems O’Donnell has yet to find the reprieve or future endeavor he’s seeking, the musicality suggests Rat Kid Cool might end up becoming the solace he seeks.